Entity Framework is made up of the EF Tools for Visual Studio and the EF Runtime. The Entity Framework Tools for Visual Studio include the EF Designer and the EF Model Wizard and are required for the database first and model first workflows. EF Tools are included in all recent versions of Visual Studio. If you perform a custom install of Visual Studio you will need to ensure that the item "Entity Framework 6 Tools" is selected by either choosing a workload that includes it or by selecting it as an individual component. For some past versions of Visual Studio, updated EF Tools are available as a download. See Visual Studio Versions for guidance on how to get the latest version of EF Tools available for your version of Visual Studio. The latest version of Entity Framework is available as the EntityFramework NuGet package. 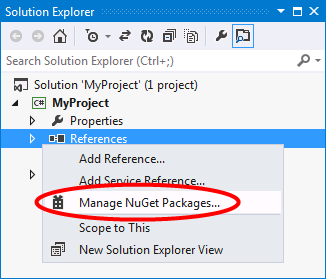 If you are not familiar with the NuGet Package Manager, we encourage you to read the NuGet Overview. Alternatively, you can install EntityFramework by running the following command in the Package Manager Console. Note that <number> represents the specific version of EF to install. For example, 6.2.0 is the version of number for EF 6.2. EF runtimes before 4.1 were part of .NET Framework and cannot be installed separately. The above methods will give you the latest fully supported release of Entity Framework. There are often prerelease versions of Entity Framework available that we would love you to try out and give us feedback on. To install the latest preview of EntityFramework you can select Include Prerelease in the Manage NuGet Packages window. If no prerelease versions are available you will automatically get the latest fully supported version of Entity Framework. Alternatively, you can run the following command in the Package Manager Console.